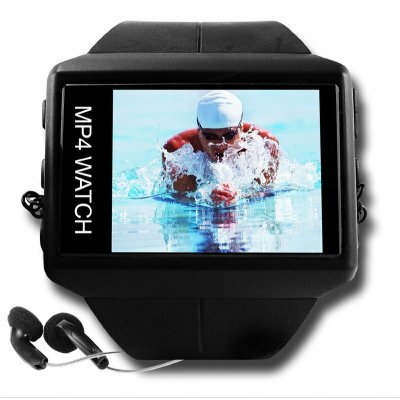 Successfully Added OLED MP4 Watch 1GB - 1.8 Inch Movie + Music Player to your Shopping Cart. 1GB MP4 Player with a 1.8 Inch super high resolution OLED screen mixed with a fully functioning stylish Digital Watch, letting you carry your favorite movies and music on your wrist. This great wholesale gadget also has 7 EQ modes to maximize your musics sound, a voice recorder for taking notes, and will even display your digital photographs in JPEG or GIF formats. This is a whole lot of gadget technology in one small and great looking watch package, so if you want to get a low priced but high quality MP4 Watch, look no further.. Clock function will show the time anytime the player is off (darklit to save energy).